Design is a product of a designer(s) and their location, time and context. It is the context of a design that shapes its every detail. 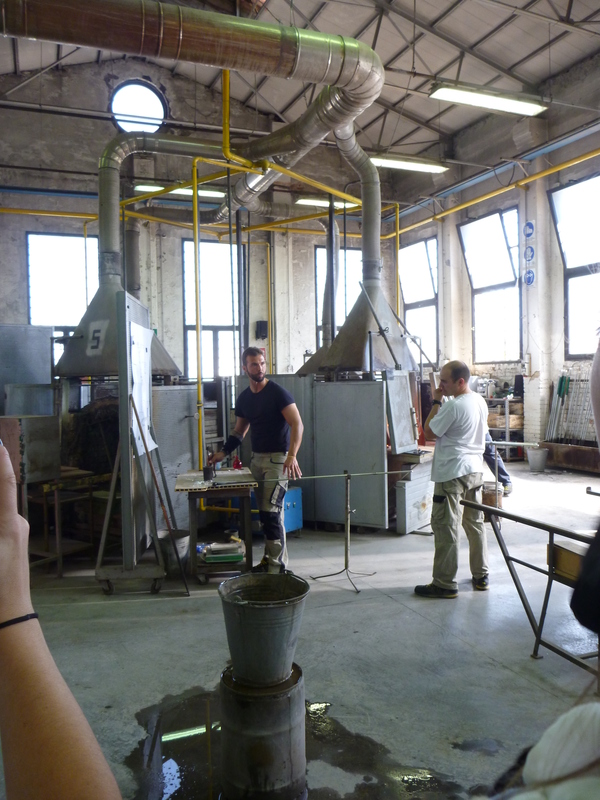 While on a recent trip to Milan and Venice Italy, we had the opportunity to visit a glass blowing factory on the Venetian island of Murano. Murano now synonymous world wide with ‘Murano glass’ is the result of hundreds of years knowledge and contextually factors shaping this world famous product. The location of Venice in the Mediterranean sea has placed it in a prime position for import and export of the raw and final products to and from Europe, in addition to the sharing of knowledge between surround areas. Knowledge of glass making was a closely guarded secret, however a treaty between the head of Venice and Syria allowed knowledge and skill movement in 1277 (Rasmussen, S.C 2012. p.42). Further to this, in 1204 the forth crusade into Constantinople drove most of the citys glass blower to Venice. Major consolidation of geographically varied knowledge aided the growth and fine tuning of Venetian glass production. Not only did the location of Venice aid the movement in knowledge, it was also pivotal to the arrival and departure of raw and finish goods into the city. From Syria and Egypt, Soda ash arrive by ship (Rasmussen, S.C 2012. p.45) in addition to ash import from Syria. Further to this, local Silica from Lido and powdered flint rock from inland rivers beds could be easily sourced. (Rasmussen, S.C 2012. p.45). The ash from Syria was quite advantageous, as it was shipped as ballast when raw cotton was also imported (Rasmussen, S.C 2012. p43). With a secure material supply, the Venetian glass industry continued to grow on the main island of Venice until several furnace eliminated entire city blocks (Rasmussen, S.C 2012. p. 44). In 1291, all glass production was moved from Venice to the Island of Murano. Murano now famous for Murano glass, was a cluster of highly skilled masters on one small island. Once established on the Island in 1376, the government passed a motion to keep all glass master on the Island (essentially prisoners on the island) but where elevated to middle class, with which came special benefits. Murano glass has developed from a rich history of contextual circumstances, shaping and forming its contemporary identity. Barovier Mentasti, R. 2003, Glass throughout time :history and technology of glassmaking from the ancient world to the present, Skira, Milan. Rasmussen, S.C. & SpringerLink 2012, How glass changed the world, Springer, Berlin; New York. Whitehouse, D. 2012, Glass :a short history, Smithsonian Books, Washington, DC.